My second Stash Bee quilt is finally finished!! 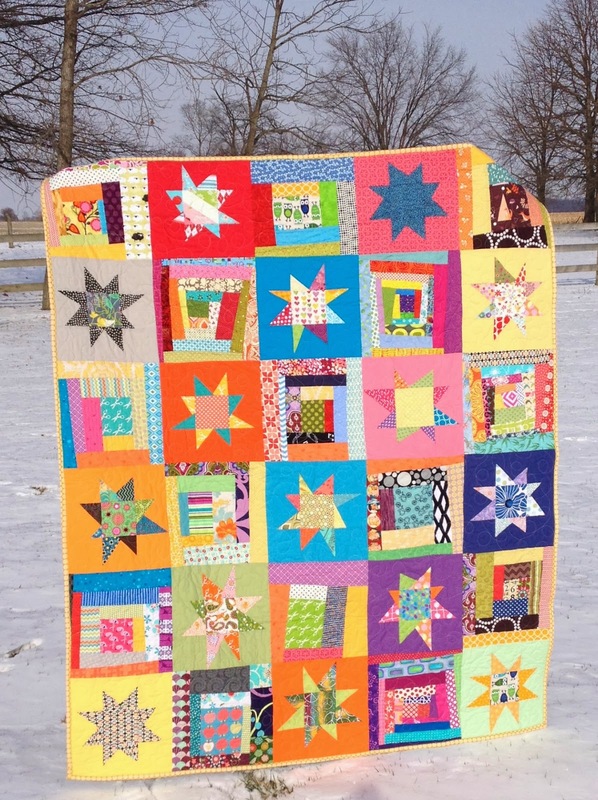 The first one made with Stash Bee Blocks was sent to Moore Oklahoma but I think I'm going to keep this one!! I love it!! I love the bright colors and its scrappy-ness. Thanks to all the stash bee gals for sending me some great blocks! 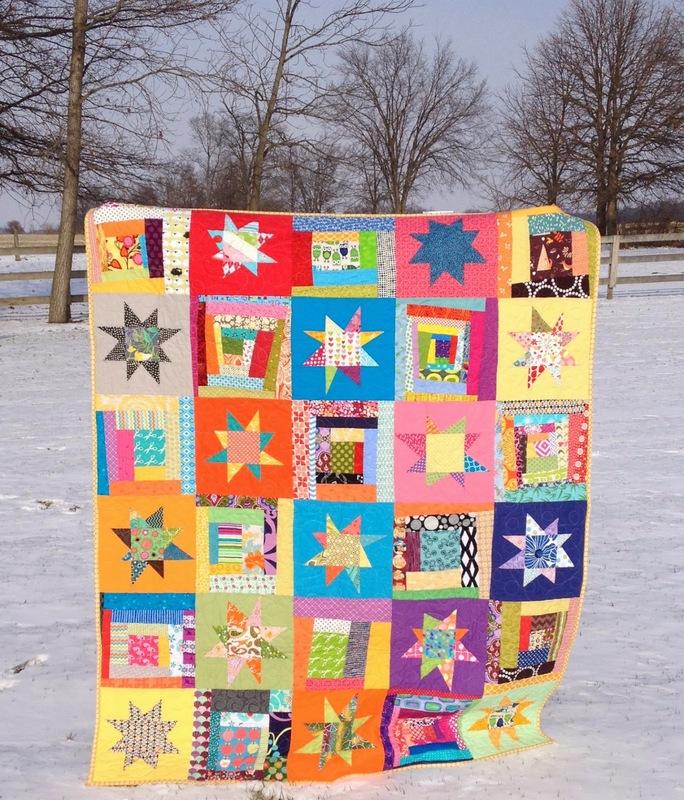 If you don't see your block in this quilt check the one that was sent to Oklahoma. Thank you all for making blocks!! Blocks made by myself and the gals of Stash Bee. Batting: Quilters dream batting Select loft 100% cotton. 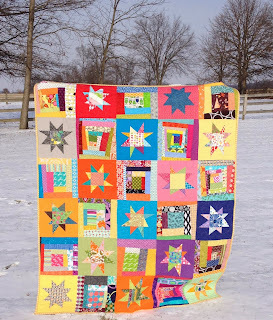 fun quilt!! I would keep it too. Looks great out in the snow. 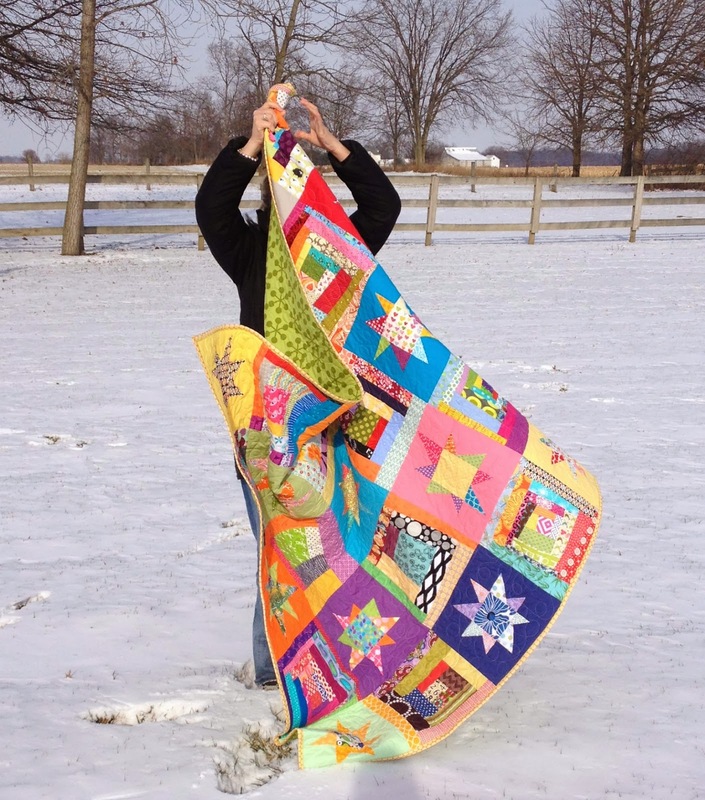 This quilt is fabulous and such a unique idea . . . it is filled with so much love. Not to mention gorgeous! I would like to invite you to visit my blog and hope that you will become a mutual follower. I'm impressed, I have to say. Really hardly ever do I encounter a blog that's both educative and entertaining, and let me inform you, you might have hit the nail on the head. Your thought is excellent; the difficulty is something that not sufficient individuals are speaking intelligently about. I am very comfortable that I stumbled across this in my search for something relating to this. big and tall mens clothing interesting subject just a small note to express to you that i really loved your post. nicely done.